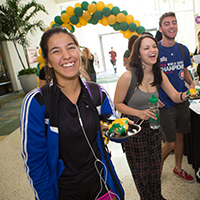 The BOLD Council is a group of young alumni leaders representing all areas of USF that promote philanthropic support for USF by providing their time, energy and resources. Their appointment will last one year, with an opportunity to serve an additional year. 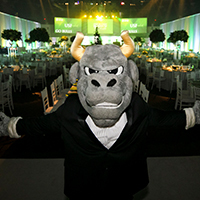 BOLD – short for Bulls of the Last Decade, is a new program that focuses on engaging USF alumni within a 10-year window of graduation, encouraging them to connect with the university, engage by attending events and become annual donors. 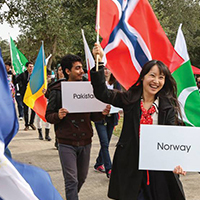 In the process, young alumni learn about the power of philanthropy and how important private support is to the university in transforming lives. Meet our BOLD Council Members! Meagan Eastman is a two-time graduate of the University of South Florida, completing a bachelor's degree in psychology & communication in 2012 and a master's in management in 2015. As a student, Meagan was actively involved in the Catholic Student Union and the Green & Gold Guides; she is currently a proud Life Member of the USF Alumni Association. Meagan worked for the Office of Admissions at USF for six years, and now works for the Morsani College of Medicine PhD Program at USF Health. Kelsey is a proud graduate of the University of South Florida, completing a bachelor's degree in communication in 2013 with a focus in culture and media. During her time at USF, Kelsey was a member of the Bulls Business Network and practically lived in Athletics for four years working closely with both the marketing team and administration. You may remember her from basketball and baseball games as the on-field entertainment. She recently established the Marc Cowan Memorial Scholarship at USF Athletics. Now a marketing manager for a St. Pete based company, Kelsey’s focus is on brand management and customer experience. Diana De la Cruz is a two-time graduate of the University of South Florida, completing a bachelor's degree in biomedical sciences in 2012, a master’s of science in 2016 and receiving a graduate certificate in Health Sciences in 2015. As a student, Diana was actively involved in the Chi Omega sorority and USF’s Panhellenic Council. She served in many sorority leadership roles, most notably as the vice president of recruitment in 2011. She is currently a proud Life Member of the USF Alumni Association and serves on the Chi Omega, Theta Theta Chapter Housing Corporation, as well as volunteering as an adviser. Diana works at BioSpine Institute as a patient educator and will be studying to become a physician’s assistant at Oklahoma City University, starting January 2019. Ron De la Cruz is a 2011 graduate of the University of South Florida’s Muma College of Business and proud USF Alumni Association Life Member. During his time at USF he became a member of Sigma Lambda Beta International Fraternity, Inc. Currently, Ron is a vice president, lead business analyst at Citi Group. George Papadeas is a 2013 graduate of the University of South Florida Muma College of Business, proud USF Alumni Association Life Member and part of the USF Bulls Club. 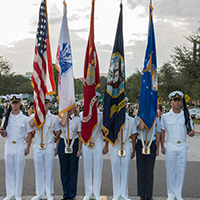 During his time at USF he served as Student Government vice president, was named the Outstanding Graduate of his graduating class and is a member of the Delta Chi fraternity. Currently George is the chief operating officer of The HOTH, a search engine optimization service, in St. Petersburg, Fla.
Mirna Pehar is a two-time graduate of the University of South Florida, completing both a bachelor’s of music and a bachelor’s of science in engineering in 2012 and a master's in structural engineering in 2013. She is a proud USF Alumni Association Life Member. She also recently, alongside four other women, established the WLP/ New American Scholarship for Women of Excellence through USF’s Women in Leadership & Philanthropy program. During her time at USF, Mirna was an Honors College student, a member of the American Society of Civil Engineers and a member of Alpha Omicron Pi sorority, where she served as a resident assistant for the chapter house. She also performed with in the Herd of Thunder Marching Band, Brahma Indoor Percussion Ensemble, as well as several other ensembles at the USF School of Music. 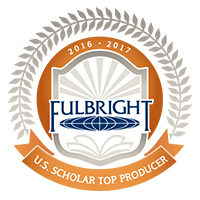 Mirna is featured on two recordings with the USF Percussion Ensemble. She works as a structural engineer at Baker Barrios Architects in Tampa, Florida and a percussionist for the Lakeland Imperial Symphony Orchestra. Zach Pietrzyk is a 2011 graduate of the University of South Florida Muma College of Business, proud USF Alumni Association Life Member, USF Tampa Chapter board member. During his time at USF he was a four-year lettermen for the USF baseball team and served on the USF Athletics Student Advisory Council for two years. Currently Zach works as a surgical glaucoma manager for Alcon, a medical device company in the vision care space and is vice president of Gulch Masters of Tampa Bay Inc., a non-profit that helps support local youth sports organizations. Silvia Soto Avella is a 2012 graduate of the University of South Florida Muma College of Business and proud USF Alumni Association Life Member. 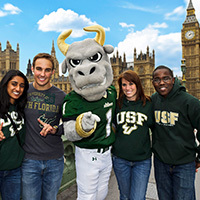 Recipient of the 2012 Muma College of Business 25 Under 25 Award and the USF Golden Bull Award, highest honors given annually to deserving students who encompass the spirit of USF and demonstrate its values. 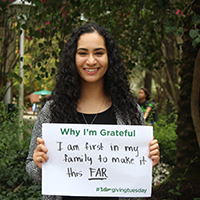 During her time at USF she was an advocate for diversity and inclusion by participating as senator in Student Government as well as leading the Latin American Student Association. She recently established the Soto Avella Dreamers Latino Scholarship at USF and currently works as an information technology change manager at the Depository Trust and Clearing Corporation, the premier post-trade market infrastructure for the global financial services industry. 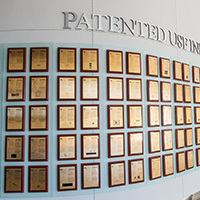 James Swantek is a 2015 graduate of the University of South Florida College of Engineering, currently serves as Chair of the Engineering Alumni Society. During his time at USF, he served as president of the Society of Women Engineers and president of the Engineering College Council. 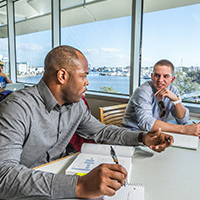 Currently, James is a Business Development Specialist at Seven Seas Water Corporation, a multinational provider of desalination and wastewater treatment solutions, in Tampa, Florida. 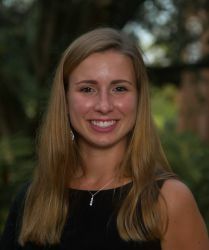 Hannah Veitkus is a 2016 graduate of the University of South Florida Sarasota-Manatee, proud USF Alumni Association Life Member and a Women in Leadership & Philanthropy member. Currently Hannah works as a realtor with Wagner Realty in Sarasota, Fla. During her time at USFSM she served as president of the Student Ambassador program for two years, was actively involved with the local alumni chapter and was a USF Women in Leadership & Philanthropy scholar.